Our goal as educators is to help children feel important, safe and cared for so they can learn. We believe learning should be fun, collaborative, and include input from students and their families. A parent is a child’s first and best teacher. That's why we partner with families, so every child can receive the support they need both in and outside of school. Each day students come together as the Prince of Peace school community. Preschool students are learning the social aspects of being in a classroom for the first time, and elementary students are finding their place among their peers. They often lead the way in community outreach projects by promoting and managing coat drives and raising awareness about issues that affect children across the world. The entire student body participates. Middle School students begin the lifelong process of stewardship by giving back to the community. Some elect to assist in elementary classrooms through a elective program called “Teachers in Training”, where they become mentors to younger students. Through the “House” program, the entire middle school comes together for weekly spirit and sportsmanship activities. They join efforts to serve the community through student-led projects from collections for charities to awareness campains for health and wellness, to name a few. All of these wonderful achievements happen because teachers, administrators, and parents and church family know that the learning environment matters just as much as what students are learning about. 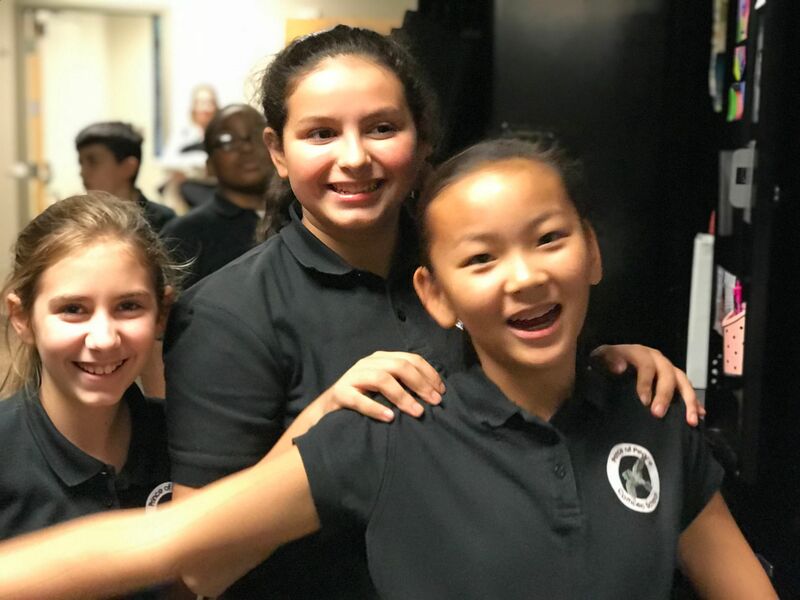 Please follow the links on this page to learn more about academic, athletic, social and spiritual activities that enrich the lives of our students.